Greg James is one of Western Australia's finest sculptors with over 25 years of experience who specialises in life size bronze figures. He is renowned for his iconic public artwork, including The Fishermen, Bon Scott and Pietro Porcelli in Fremantle. Greg’s sculptures attest to his attention to detail and his ability to capture the essence of his subjects. His work is interactive and tactile, inviting participation from the public. His work celebrates the beauty and sensuality of the human form, and explores concepts of the human condition. 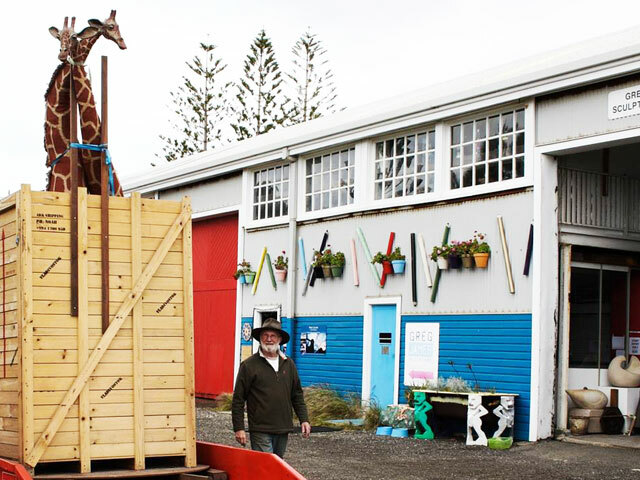 His studio was founded in 1993 and can be found in J-Shed, Fremantle, where the gallery displays local artists alongside his work. View a range of Greg’s collectable works from his loft gallery that overlooks the busy studio where his unique sculptures are created. Inspired by people, Greg continues to create works that focus on elements of the human condition.